Pushing your limits in the gym, dieting hard, and still not seeing the results you wanted? It could be the work of the ultimate fat loss nemesis: cortisol – the stress hormone that signals your body to store body fat and even break down muscle tissue. So how do you win the battle against cortisol? Assault Labs says they have the answer. Corti Combat, released late last year, is part of a category known as Natural Metabolics, which help to support your endocrine system. It features several botanical extracts that can aid in reducing inflammation, stress, anxiety, and fatigue while enhancing fat loss and preserving muscle mass. Perhaps most importantly, however, it can help balance your cortisol levels and adrenal function, which are all affected by high intensity training sessions. Assault Labs formulated Corti Combat with Ginger Root Extract to reduce inflammation (1) in conjunction with Ashwagandha (2), Rhodiola Root (3), and Phosphatidylserine (4). These three compounds are shown to aid suppression of cortisol production and reduction of negative cortisol-related side effects. 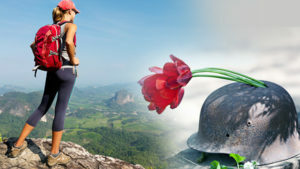 Corti Combat also contains Green Tea Extract to help promote relaxation (5), as well as Cordyceps Sinensis to help strengthen endurance and energy production (6). So is Corti Combat the answer to your fat loss prayers? Only you can decide for sure. 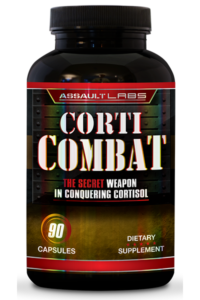 Assault Labs’ Corti Combat is available now, exclusively on shelves at Strong Supplement Shop. I need supplements like the old andro. Can I stack this with alpha lean? Hi M- Thank you for your question. Corti Combat is a good supplement to stack for the majority of people looking to lose weight and/or increase muscle definition. What’s the difference between Estro strike 2 and Corti? Hi Rod – Thank you for your question. Estro Strike 2.0 is an estrogen blocker, which is intended to help decrease the amount of estrogen in your system. On the other hand Corti Combat is a Cortisol blocker which is intended to help decrease the amount of Cortisol in your system. You can learn more about Corti-Combat Here, I believe it has links to some studies in support of its ingredient panel.